Welcome to the news from the New York Injury Lawyer blog. Here we present interesting and relevant news stories involving our areas of specialty, including personal injuries, slip and falls, medical malpractice and brain injury claims. Have an interesting injury story? Tell us. New York – A construction worker suffered traumatic amputations of his legs during a recent road construction accident. The injury victim was apparently hit by a falling object that made him fall into a hole during the job site accident. 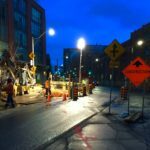 The work site was in the street near an intersection where heavy construction vehicles, including a backhoe, were being used to dig up a trench. The heavy object that fell and severed the hardhat worker’s legs was a metal plate according to witnesses. He then fell approximately 10 feet into a hole. First responders applied tourniquets and tried to control the bleeding. He was treated for shock and rushed to the hospital. Doctors were working on saving the injured man’s life while also trying to save his legs. Workplace safety experts will need to investigate the circumstances of this work injury to determine if proper safety equipment and protocols were in place or if there was even negligence involved. This article and video share further details about this workplace injury. New York – Health officials issued an urgent warning about milk contaminated with Listeria Monocytogenes bacteria. They say that the milk was being sold as raw, or unpasteurized milk, in Hudson Valley area. Some of the dangerous product may have even been sent to further away locations. Doctors explain that the bacteria-contaminated milk can lead to a potentially serious medical illness called Listeriosis. The food poisoning illness can lead to severe complications, especially for the very young and old as well as immunocompromised patients, such as those with cancer or other health problems. Pregnant women are also at serious risk for fetal injury or illness, according to obstetricians. The local department of health has demanded that the farm owner immediately stop selling the unsafe product. While the situation in this dairy is still unclear, some cases of Listeria can occur due to unclean facility practice or improper maintenance. Health and safety officials have strict guidelines for farms, food suppliers and shippers as well as for retail stores in order to prevent such dangerous situations. Further inspections and research into the source of the contamination with bacteria will be needed to clean up the facility and ensure a safe product. See this article for more about the hazardous product and potential Listeria outbreak concerns. New York – Emergency Medical Technicians (EMT) often treat assault victims but this is a case of the EMT becoming the injury victim himself after being attacked by a driver. The incident began with an emergency ambulance crew who were treating a sick elderly man when a passing driver became agitated. The driver of the car yelled at and threatened the EMT since the ambulance was blocking the road. The enraged driver then hit the pedestrian EMT while the ambulance worker attempted to move his patient out of the way. Reports show that both the EMT and the patient in the stretcher were injured in the pedestrian accident. Sources say that the worker suffered a shoulder injury while the original sick patient suffered a leg injury with possible leg fracture. Both were taken to the hospital for treatment, including evaluation for broken bones. Police arrested the driver of the car and criminal charges against the man are pending. He is accused of road rage that led to a physical assault. It turns out that the driver of that car was actually a hospital worker himself. He now faces multiple problems, including the criminal court case, the possibility of losing his job at the hospital as well as a civil personal injury lawsuit from the accident victims. 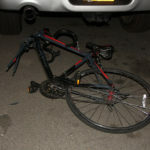 See this article to find out more about this assault with injuries car crash. New York – Emergency services were called to the scene of a van crash after it jumped the curb and crashed. The pedestrian accident occurred on a street in the Chinatown section of Manhattan and left extensive injuries for at least seven accident victims. Police report that all of the injured victims were pedestrians. One of the men suffered fatal injuries and died soon after he was hit by the minivan. Another two people suffered critical injuries and were rushed by ambulance crews to the hospital. The full nature of their injurie sare still unclear and they will require ongoing evaluation and care according to doctors. Witnesses to the minivan accident have explained that the driver lost control and slammed into pedestrians on the sidewalk. Investigations are ongoing to determine if any negligence or reckless driving was involved that led to the accident. They note that the driver of the van had backed up down most of the block before veering into a crowd of people on the sidewalk. However, it is not believed that any criminal or deliberate acts took place. You can find out more details about this deadly car crash here.